Initialize the plugin and done. 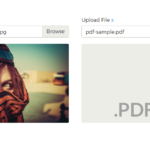 Override the default options to customize the file uploader. // - If set, acceptedFileTypes must be made to match with media wildcard "image/*", "audio/*" or "video/*"
Fix issue where addFile did not respect itemInsertLocation setting. Add the beforeDropFile hook which can be used to validate a dropped item before it’s added, make sure dropValidation is set to true as well. Fix problem where disabling and re-enabling FilePond would not re-enable the browse button. Fix problem where the abortAll call triggered when destroying FilePond would inadvertently trigger the server.remove end point for each local file. Fix onremovefile callback not receiving an error object similar to onaddfile. Fix issue where aborting a file load while the file was being prepared (for instance, encoded) did not work. Fix issue where 0 byte files would not upload to the server. Add status property to the FilePond instance, use this property to determine the current FilePond status (EMPTY, IDLE, ERROR, BUSY, or READY). Fix problem where addFiles would not correctly map passed options to files. 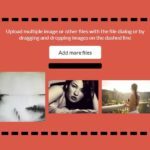 Fix problem where upload error would prevent processing of other files. Fix problem where the field would not “exist” if it had no value. Now if FilePond is empty the internal file input element is given the name attribute, this is removed when a file is added (as the name is then present on the file’s hidden input element). Add onprocessfiles which is called when all files have been processed. Add onactivatefile which is called when a user clicks or taps on a file item. Add disabled property, can be set as an attribute on the file input or as a property in the FilePond options object. 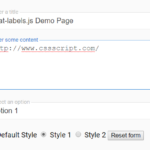 Add catching clicks on the entire pond label element to make it easier to click the label. 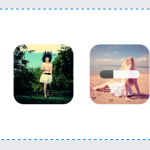 Only hide preview images when resizing the window horizontally, fixes problem with resize events on iOS. Improve the way that FilePond resumes drawing when a tab retains focus. Fix problem where error shake animation would mess up preview image. Add itemInsertLocationFreedom property, set to false to stop user from picking the location in the file list where the file is added. Add checkValidity which is set to false by default. If it’s set to true, FilePond will set the contents of the labelInvalidField property as the field custom validity message if it contains invalid files (files that for instance exceed max file size or fail other tests). Expose dispatch call to plugin item extensions. Improve onlistupdate event so it can be better synced with adapter components. Switched browse text underline to text-decoration-skip-ink: auto instead of text-decoration-skip: ink to prevent eslint warnings. Fix problem where calling processFiles without arguments would re-process already processed files. Fix problem where subsequent calls to processFile would not automatically revert an uploaded file or abort an active upload. 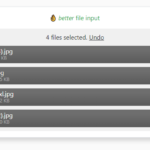 Fix problem where upload complete indicator would not show when image preview was active. Fix problem where URLs would immidiately be in processed state. 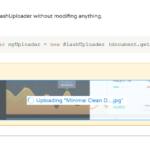 Add maxParallelUploads option to limit the amount of files being uploaded in parallel. Add option to only fetch file head when downloading remote URLs. File is downloaded to the server and server sends a unique file id to the client. Set server.fetch.method to ‘HEAD’ the server needs to repond with custom header X-Content-Transfer-Id and a unique id. See handle_fetch_remote_file in FilePond PHP Server for an example implementation. Fix problem where ‘processFile’ and ‘processFiles’ would reprocess already processed files. Add server.remove property, this property can be optionally set to a method to call when the remove button is tapped on a local file. This allows removing files from the server. Please note that allowing clients to remove files from the server is a potential security risk and requires extra caution. By default the property is null. The advise is to not use this method and only make changes to the server after the parent form has been submitted. 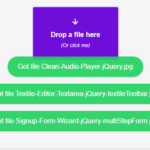 The form POST will contain all the loaded file names and relevant file data, it should be enough to determine the files to remove and the files to keep. Fix filename matching of content-disposition header when the filename is not wrapped in quotes. Add feature to silently update metadata so it doesn’t trigger an update. Fix issue where items would be removed before item sub views were all in rest state. Fix problem where beforeRemoveFile hook was not called when in instantUpload mode and reverting an upload. Add preparations for queueing file processing. dd global scoped property for painter so multiple libraries can subscribe to read and write DOM operations. This is mostly in preparation for a standalone version of the Image Editor plugin. Fix additional problem with quick file removals. Fix problem where remove call would throw error depending on the state of the upload. Fix problem where clicking on abort before upload had started would not cancel upload. Improve diffing when updating the files property. Add onupdatefiles callback that is triggered when a file is added or removed to a pond instance. Fix another problem where list overflow would not render correctly. Fix problem where maxFiles was not enforced when dropping a set of files, each file was added in sequence till maxFiles was reached while the set as a whole should’ve been invalidated at once. Fix problem where max-height of filepond root would not be respected by file list. Cleaned up some stray babelHelpers. Fix bug in render engine style method, should result in less unnecessary redraws. Fix problem where the drop indicator would render at the wrong location. Fix problem where calling removeFile directly after processFile was resolved would throw an error. Labels can now be set as functions, these functions will receive context information, this is useful to customize both he load error and processing error labels based on server response. 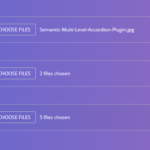 Add additional utilities to plugin API. Automatically replace undo button counterclockwise arrow icon with remove button icon when instantUpload is set to true.